I loved the front desk staff. They were very helpful during my stay. The apartment was clean. And the location is great. If it wasn't for my jewelry disappearing, I'd rate it much higher. My apartment was on the 1st Floor (what Americans would call the 2nd Floor) overlooking an interior courtyard. It was quiet at night. It was about a 10-15 minute walk to the Metro, less to the tram. Lisbon is an amazing city, but people with limited mobility should be aware that some of the hills are steep and all the roads/sidewalls are cobble stone. I'm 65 with arthritis and found it difficult at times but I managed. If you're a Fitbit person, I was doing 15k to 20k steps a day. I found cabs to be easier than Uber especially from the airport to Bairro Alto. The rooms and the floor design was very functional and comfortable. The kitchenette was adequate and the daily service was satisfactory (almost). The front desk folks are nice and helpful. Breakfast is delivered to the room. Good location. Great location with nice view. Spacious. Good value for money. Nice breakfast in a box. Friendly and helpful staff. Highly recommended. Friendly staff, clean, new, Windows have good noice canceling. The apartment was nice, good size and well equipped. The host was nice and helpful. Parking was close enough and cheap comparing to other options. Breakfast was left in a box just outside the door (in the hallway). Quality and quantity was good (yogurt, fruit, bread, milk, coffee capsules for the machine in the room, etc). Air conditioning was available in both bedrooms and living room. Appartment is located in a very nice neighborhood of Lisbon. we were very well welcomed and introduced to the place. Appartment has everything you need ready for you. Beds are confortable - rooms havea good size. Air condition is available in all rooms. Kitchen is well equiped. The appartments building have a reception with someone always ready to help you and Staff kept our luggages the last day. The breakfast box delivered every morning is a great and contain all basics to get started with! then it is very easy to find a small supermarked nearby to upgrade your own breakfast. Note that taxi drivers can pick you up or drop you right in front of the appartment building even though it is a pedestrian street. Brand new, very comfortable 1 bedroom apartment. Fully furnished and stocked kitchen. Great location, just a couple blocks from a main street and the Elevador Gloria. Good A/C-heat, soundproof with windows closed. Nice amenities at a great price. Clean, convenient, friendly, fun. 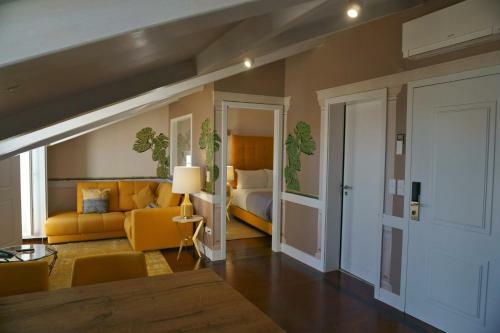 Lock in a great price for Lisbon Colours Bairro Alto Apartments – rated 8.8 by recent guests! 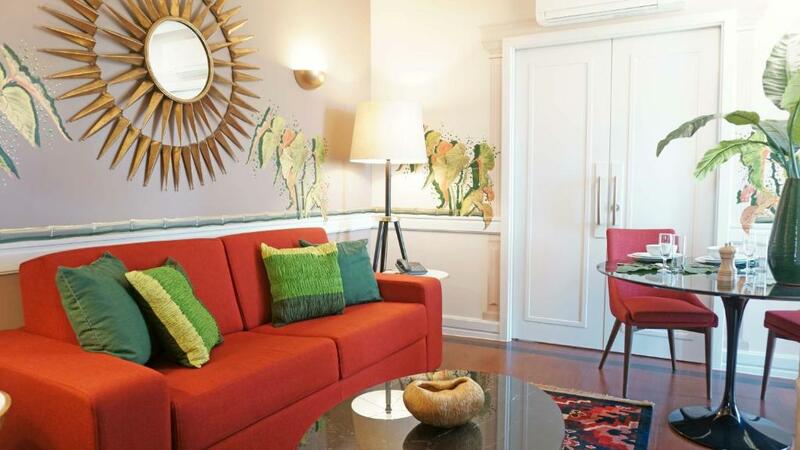 One of our top picks in Lisbon.Lisbon Colors offers modern apartments in Lisbon’s lively Bairro Alto district. Each apartment has a well-equipped kitchen and free WiFi. The property recently added brand new apartments to its offer. Baixa/Chiado Metro Station is 650 feet away. The air-conditioned apartments include a living room with a flat-screen TV and a dining area. Some open onto a terrace or a balcony with garden or river views. Large windows, soft colors, and wooden floors are part of the bright décor. 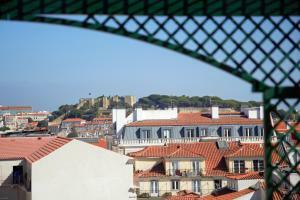 Several restaurants, cafés, and shops are within walking distance of Lisbon Colors. Alfaia Restaurant & Wine Bar offers characteristic Portuguese cuisine and wines and it is a few steps away. Bairro Alto is famous for its nightlife, cultural events, alternative fashion shops, city viewpoints, bars, cafes and restaurants. Rossio Train and Metro Station, with links to Sintra, Belém, Estoril and Cascais is a 10-minute walk away. Lisbon International Airport can be reached in 10-15 minutes by car or metro. When would you like to stay at Lisbon Colours Bairro Alto Apartments? 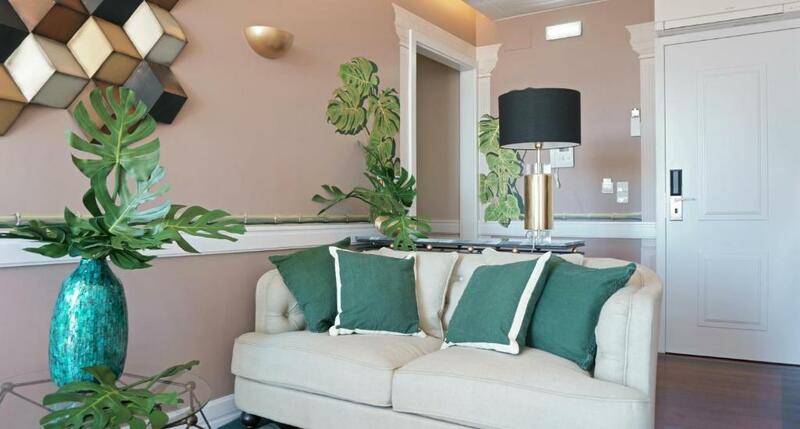 Decorated in soft colors, this air-conditioned apartment includes a living area with a flat-screen TV and a dining area. It also has a kitchenette and a modern bathroom. This air-conditioned apartment includes a private bathroom and a kitchenette with a stove and a refrigerator. Find out for yourself when you stay with us, the staff is always ready for a chat and merry banter with guests, should they wish it. Bairro-Alto is famed for being one of the oldest neighbourhoods of Lisbon and one of the most lively, with spirited, people both night and day. It is also on top of one of Lisbon's seven hills, meaning you have commanding views of the surrounding areas and everything worth going to is down-hill. 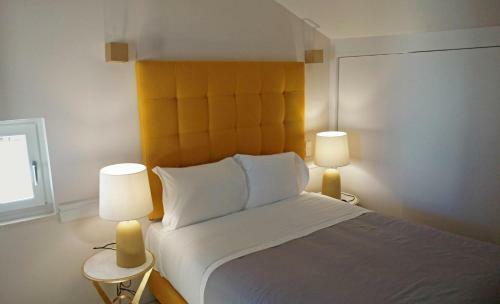 House Rules Lisbon Colours Bairro Alto Apartments takes special requests – add in the next step! Lisbon Colours Bairro Alto Apartments accepts these cards and reserves the right to temporarily hold an amount prior to arrival. Please note that if you need to check in after 1:30, you need to call the reception in advance of your expected arrival time. You can use the contact details provided in your confirmation. Guests are required to show a photo identification and the credit card used in the reservation, upon check-in. 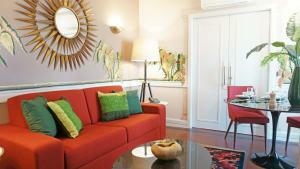 Please inform Lisbon Colours Bairro Alto Apartments of your expected arrival time in advance. You can use the Special Requests box when booking, or contact the property directly using the contact details in your confirmation. The breakfast was not quite what I expected. The heating wouldn’t turn on when I needed it. So quite cool at night. A lovely large apartment I could relax in. All was very comfortable and clean. Breakfast was a bonus. Location was terrific. Lovely and quiet in the day and had expected some noise in the streets till late but not till 5 in the morning! Earplugs helped but still awakened many times. Perfect size for two friends travelling together. Great breakfast, sweet and savoury. Large bathroom and comfy beds. Friendly staff. Easy to find. Guests who care about climbing staircases may need to communicate the reception in advance., since the hotel has 5 floors and no elevator. Reception was open after midnight. Friendly personnel willing to help with advice, printing tickets, storing luggage in the locker-room after check-out etc. A fully functional kitchen in the room. Rooms are tidy and cleaned every day. 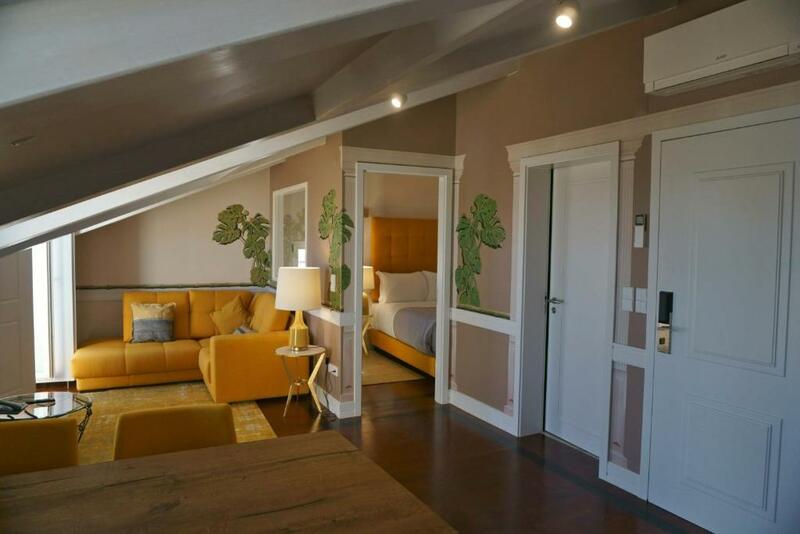 Excellent location to access Rossio station for travelling to Sintra and just less about 10 minutes walk downhill to reach city center and the Tejo river. Very convenient that a decent breakfast is brought to your room door by 8 am., so no need to dress and go anywhere for breakfast. Breakfast was brought in a basket to the apartment door. Every day the same quite monotonous set, a lot of sweetness. But you can eat and be full. Wished the TV was in the bedroom. 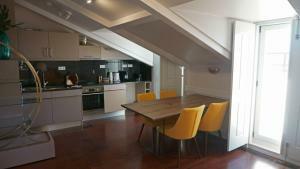 Lovely apartment in the perfect location, in the Fado music district. Close to all forms of public transport as well as the main square. Good breakfast. Our apartments were on the 5th and 4th floors, there was no lift and the stairs were very steep. Access is not easy if you are not young. I didn't like that my jewelry was stolen. I didn't realize it was gone until after arriving in Aveiro. - We were on the 4th floor, which is quite a way up for those with bad knees. The view wasn't amazing either. - The apartment is in central location that was close to amenities, many restaurants, the city centre, tourist sites and transportation links. - The apartment, though narrow, was organised in a way that maximised the space it had. - It was kept clean. - Staff were pleasant. 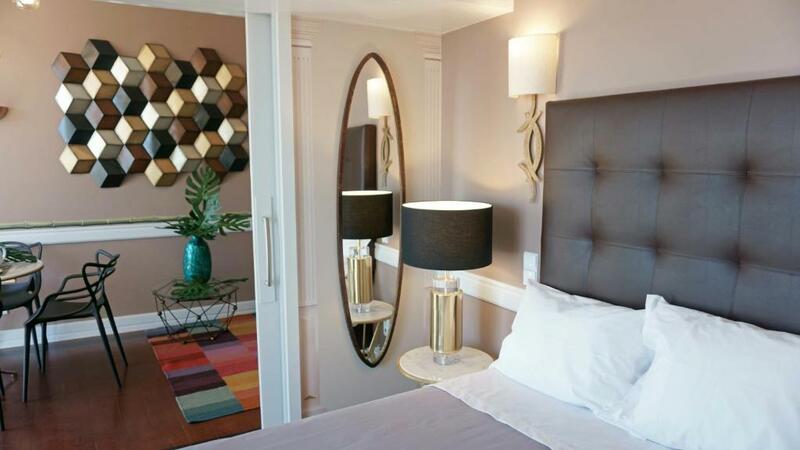 Lovely apartments, clean, modern, high quality finishes. Breakfast brought in a basket, plenty of food. Loved it! There are lots of bars around, it's great if you wanna go out but it can be noisy on Fridays and Saturdays. Windows are well insulated, I slept well. Modern apartment in the heart of Lisbon. The bed was confy, the kitchen was well furnished and the shower was really great. All in all an excellent experience.